Seven protesters were injured by Israeli forces on Friday, as the latter cracked down on the weekly protest against Israel’s closure of the main road leading to the village of Kufr Qaddoum, in the occupied West Bank. 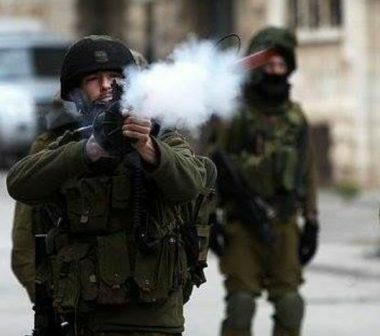 Morad Shtewi, coordinator of the popular resistance in the village, told WAFA that Israeli soldiers fired live shots and rubber-coated rounds at the protesters, to disperse them, injuring seven of them with rubber-coated rounds. Other protesters also suffocated from teargas inhalation, and were treated at the scene.